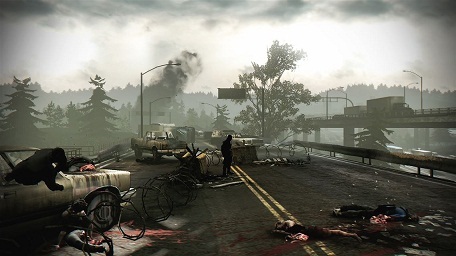 In Deadlight Director's Cut, a virus has decimated the population and eats further by the few who remained. Shadows invade the streets and our tips and tricks for beginners will help you to win the battle against this. The survival horror is relatively linear, unless you just want to follow the story. You shall indeed always die, but that's good because in this way you can find out what makes you wrong. Sometimes you are forced to rapidly move forward, because behind you already the next Horde shadow and see the points which promote you. You will also have health enhancer and collectibles such as find all the ID Cards. Once you have found all collectibles, you will be rewarded with trophies and success. The following tips and tricks for Deadlight Director's Cut give you advice on what you have to pay attention. - Watch Area: This is probably one of the most important tips to Deadlight, because if you not closely monitor your environment, then you will miss a lot. This is not merely collectibles but also other items such as ladders and projections, it is progressing on in the game. - Shadow: You should not underestimate the zombies in Dead Light Director's Cut. They can be quite fast and very dangerous especially in hordes. If you see a horde of shadows, then look around to find a ladder, box or something to climb so that they can’t reach you. - Endurance: Pay attention to the stamina. You will lose stamina if you merely running around. If your stamina is coming to an end, then you will recognize that with a vibrant screen. Then you must take a break and recharge your stamina again. - Fight: Try to avoid! Mostly you can outsmart the shadows by using the environment against them. - Hordes: There are always zombie hordes who want to overwhelm you. If you encounter such a group, then you climb to a higher place, platform, Box or a projection. Once at the top you attracted zombies to you by whistling and once they have gathered, you can jump over them and run further. - Fallen: Notice your surroundings you may discover traps that will help you to avoid the battle against the shadow. - Objects: The objects and bodies, with which you can interact, are highlighted in blue. The color fits so well into the scenario that it is easy to overlook. By moving objects you can free barricaded roads in front of you. - Directions: If you sheer tension, rough edges and don’t know where you should run, then remain still for a moment. There appear small white triangles that serve you as a guide. To view all possible climbing routes. - Wall jumps: Sometimes it may happen that you can’t reach an edge that will definitely continue your route. Here you'll just have to run against the opposite wall, jump off of it and then you can get a higher jump to the desired edge. - Danger zones: Every now and then you come across danger zones, places that look dangerous as they are crowded by shadows. In such places you can find well hidden objects.